MID-CENTURY GEM! 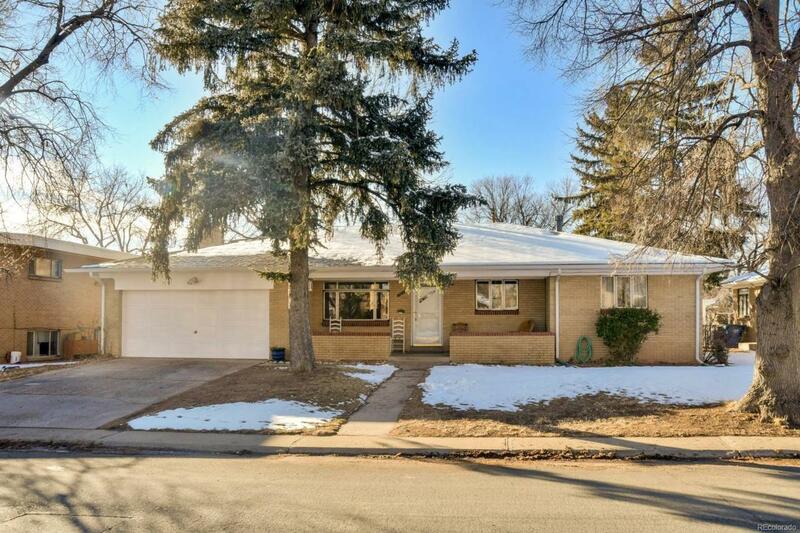 This brick ranch is a Great location on mature tree-lined street. Only 5 minutes from Anschutz Medical Center, 5 Minutes from Lowry, and 25 minutes from downtown Denver. Convenient to public transit and airport. Amazing details throughout. Coved ceilings with insert, gleaming hardwood floors, cozy stone fireplace, built-in book case with computer desk, new paint, carpet, and roof. Finished basement with updated bathroom. Generous size bedrooms. The master has a private bath. The updated kitchen has tile counters and maple cabinets. Abundant storage and closets. Built-in flower planter boxes and raised bed gardening. THIS TREASURE WON'T LAST LONG!